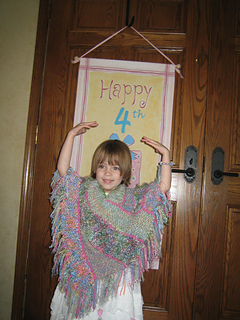 Poncho/wrap is made in strips, holding two yarns together as one. 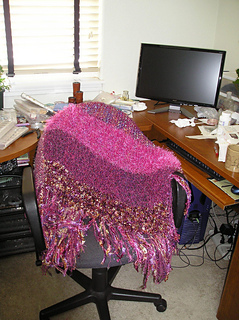 Use three to six heavier weight yarns and a similar number of light weight yarns, and mix and match them in different comboinations to integrate all the yarns together. 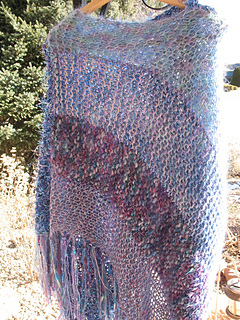 You’re essentially making eight scarves that then are crocheted together to make up the garment.